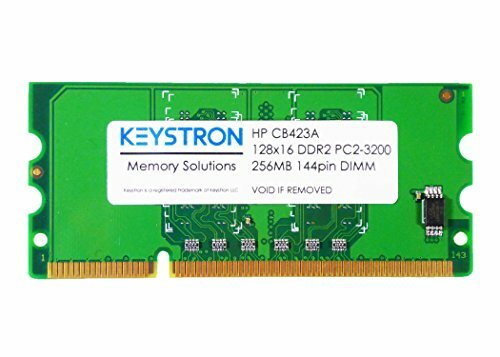 CB423A is Compatible with Hewlett Packard Color LaserJet CM2320, CM2320fxi, CM2320nf, CP1518ni, CP2025dn, CP2025n, CP2025x, Laserjet 3005N, CP1515n, CP5225dn, M2727nf, P2015, P2015D, P2015DN, P2015N, P2015X, P2055D, P2055DN, P2055X, P3005 (Q7812A), P3005D (Q7813A), P3005DN (Q7815A), P3005N (Q7814A), P3005X (Q7816A), Pro 400 M401dn, CP1525nw. View More In Printer Memory Modules. If you have any questions about this product by Keystron, contact us by completing and submitting the form below. If you are looking for a specif part number, please include it with your message.